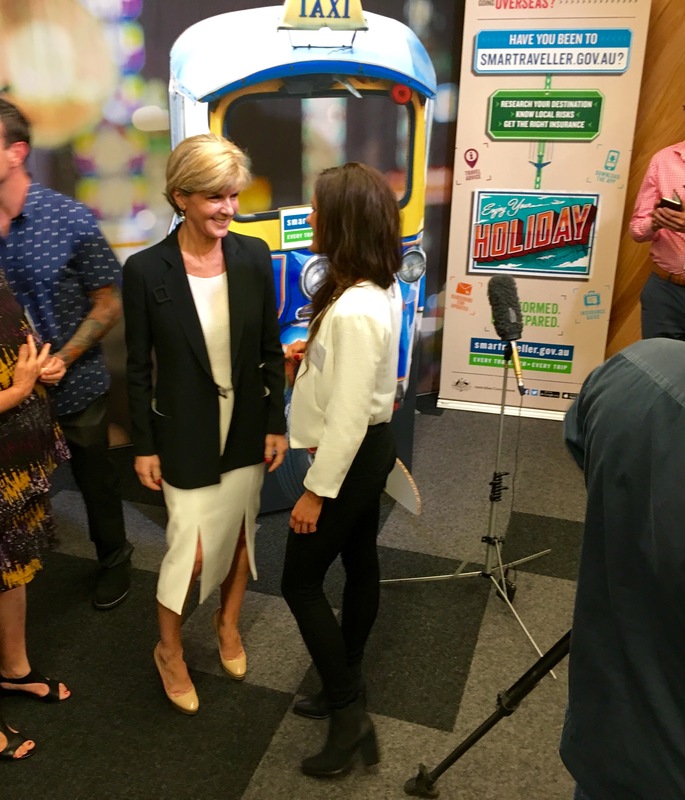 Kate was invited to attend the launch of the new smartraveller website and strategy by Minister for Foreign Affairs, Julie Bishop, on 2nd November in Melbourne. 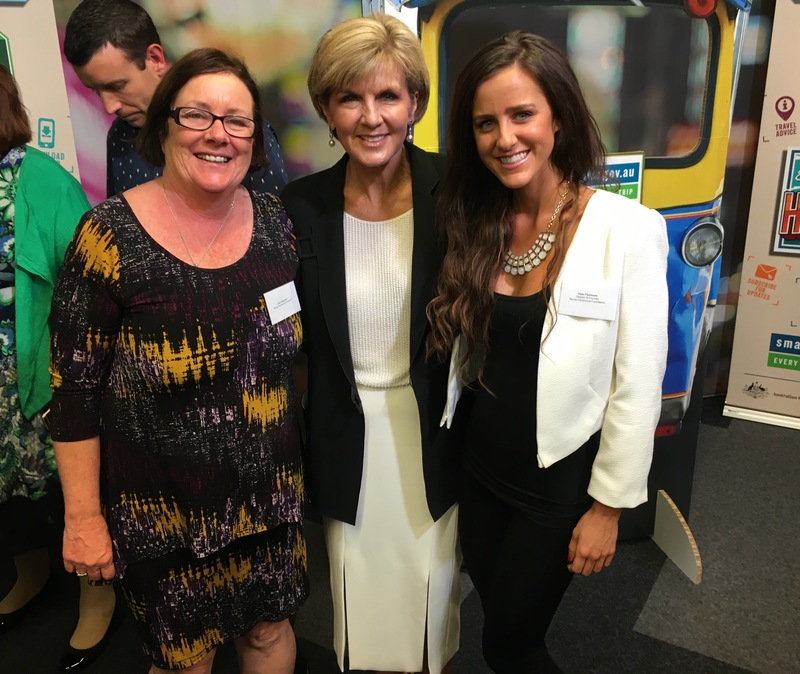 This day is the third anniversary of Nicole’s memorial service and an honour that the Foundation’s travel safety education with senior high school students is being recognised by DFAT. Please view the new website http://smartraveller.gov.au/ or download the app if you are travelling to help keep you safe on your trip.